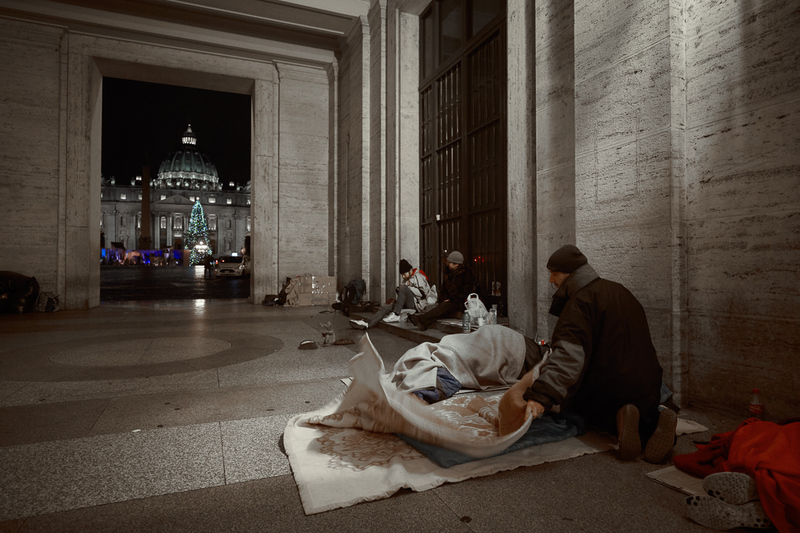 Although the Vatican charity wing is very active in Rome and throughout Italy, homeless people sleep most nights within a stone's throw of St. Peter's Square. In the case of this picture, most of them found local shelters to be full and had to spend a January night on Via della Conciliazione in Rome. They did not want to give their names but the identifiable ones gave verbal consent to be photographed.